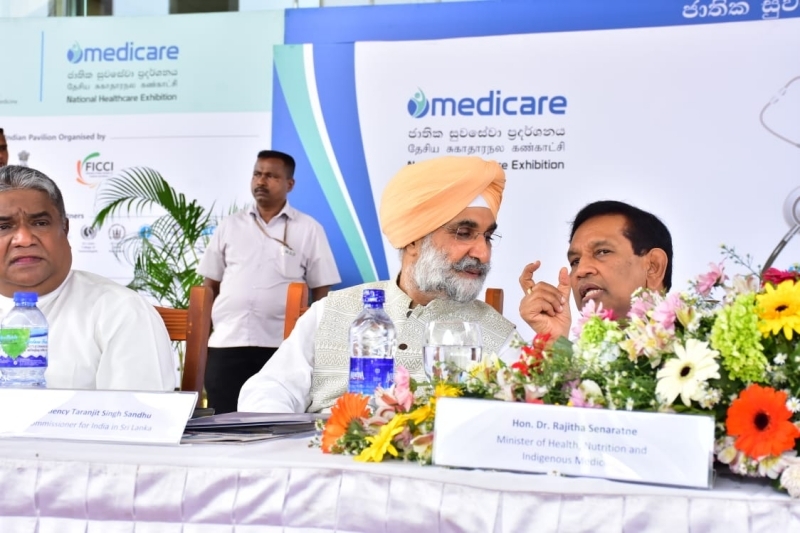 The 10th edition of Medicare Exhibition, National Healthcare Exhibition of Sri Lanka, was inaugurated today by Dr. Rajitha Senaratne, Hon. 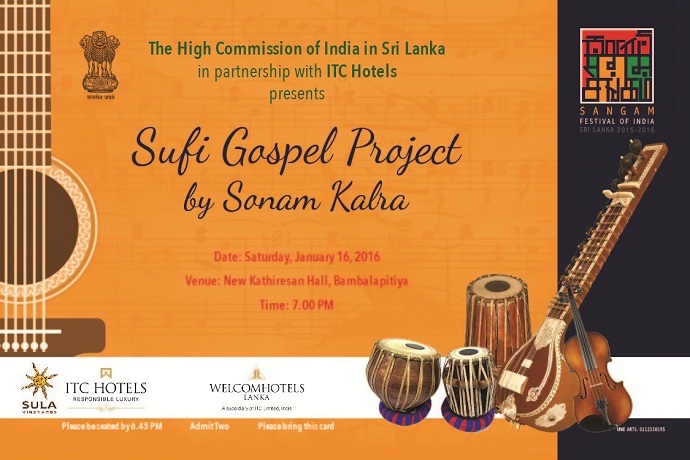 Minister of Health, Nutrition and Indigenous Medicine of Sri Lanka and H.E. 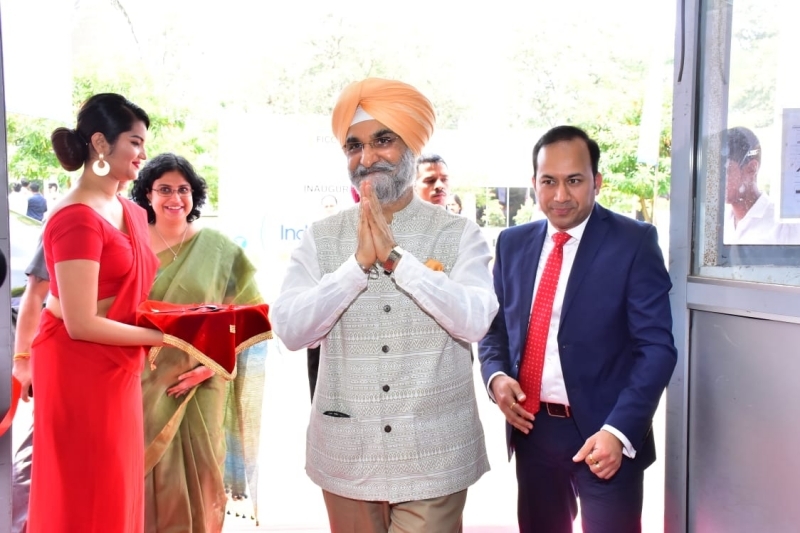 Taranjit Singh Sandhu, High Commissioner of India to Sri Lanka. Hon. 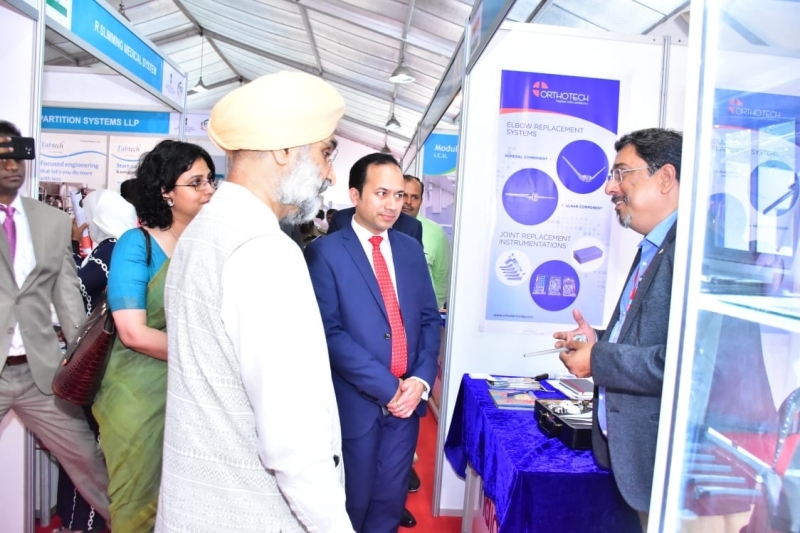 Faizal Cassim, Deputy Minister of Health of Sri Lanka, Dr. Razia Pendse, WHO Representative for Sri Lanka, senior officials from Ministry of Health of Sri Lanka, several healthcare professionals etc. were also present. Dr. Rajitha Senaratne, Minister of Health, Nutrition and Indigenous Medicine of Sri Lanka spoke at length about the recent achievements of Sri Lanka in the health sector. In this address, High Commissioner underlined the need for cooperation in healthcare sector, citing that ‘as diseases know no boundaries, our cooperation in healthcare also needs to go beyond frontiers’. He emphasised that collaboration is celebration and partnership is progress. 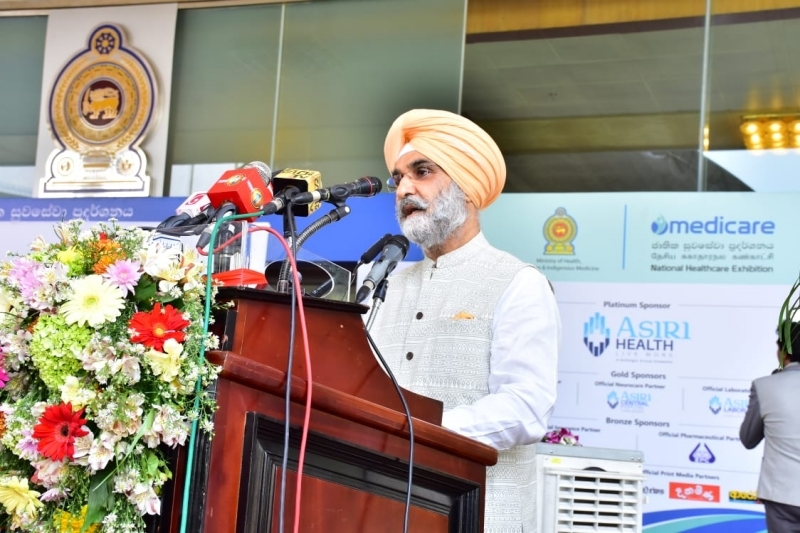 He complimented Sri Lanka for its outstanding achievements in the healthcare sector including its improved health indicators which are comparable to some of the most developed countries in the world. 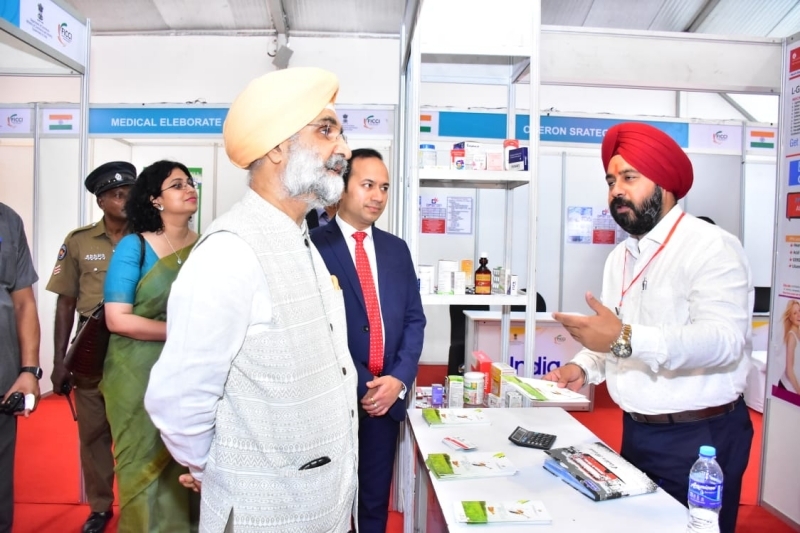 High Commissioner mentioned the transformative changes taking place in Indian healthcare sector which offer a lot of opportunities for the industry in both countries to innovate and grow together. Dr. Rajitha Senaratne, Hon. Minister of Health, Nutrition and Indigenous Medicine of Sri Lanka and H.E. 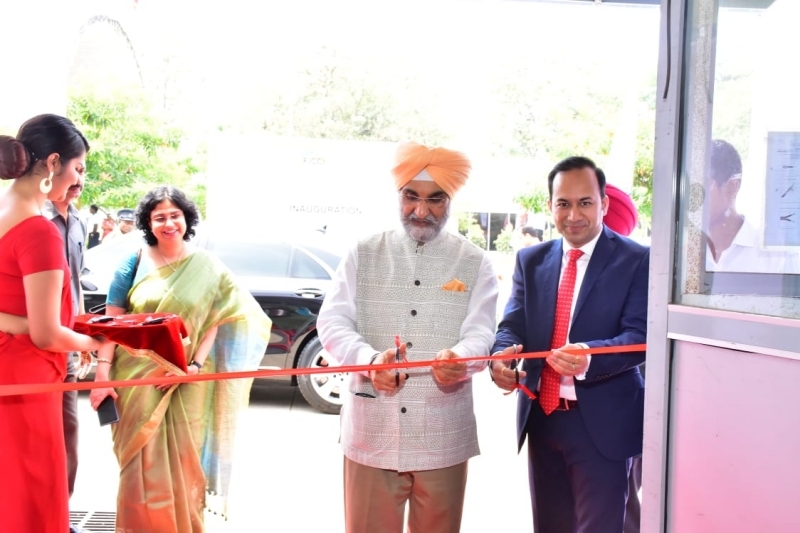 Taranjit Singh Sandhu, High Commissioner of India to Sri Lanka had inaugurated the last edition of Medicare also at BMICH in March 2018. 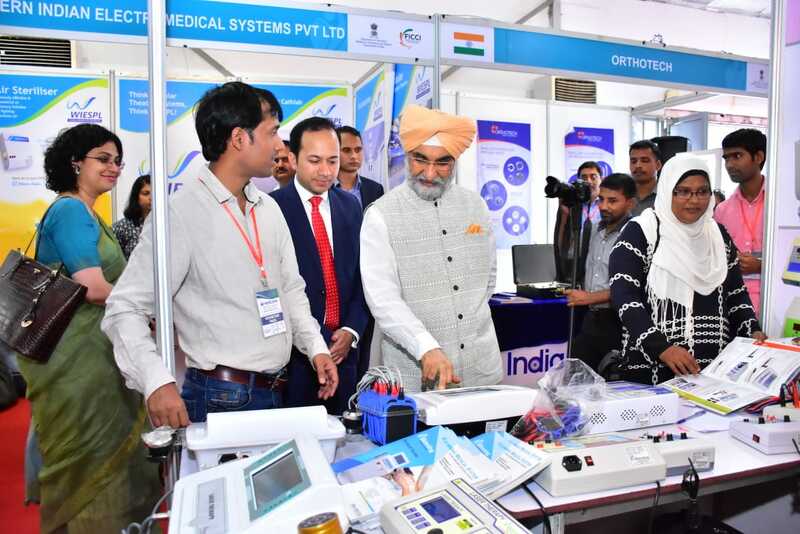 Medicare Exhibition has been organised in partnership with Federation of Indian Chambers of Commerce & Industry (FICCI). 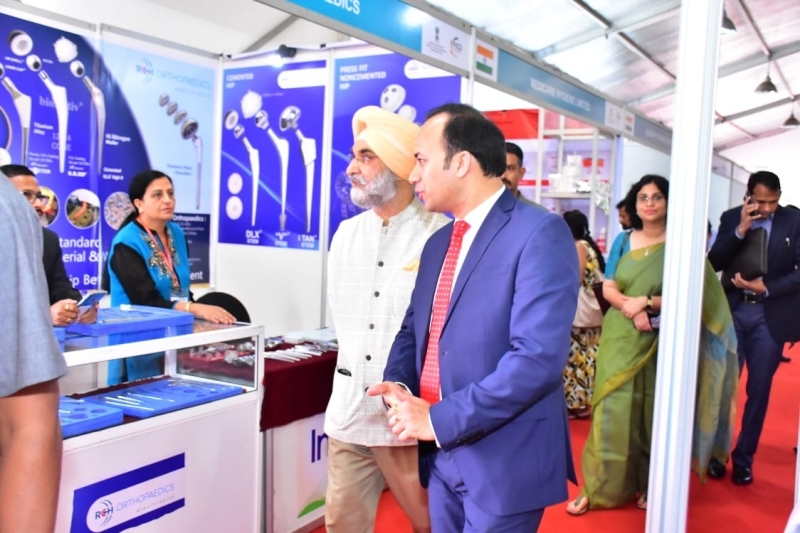 An India Pavilion consisting more than 40 companies from India was also inaugurated by the High Commissioner. 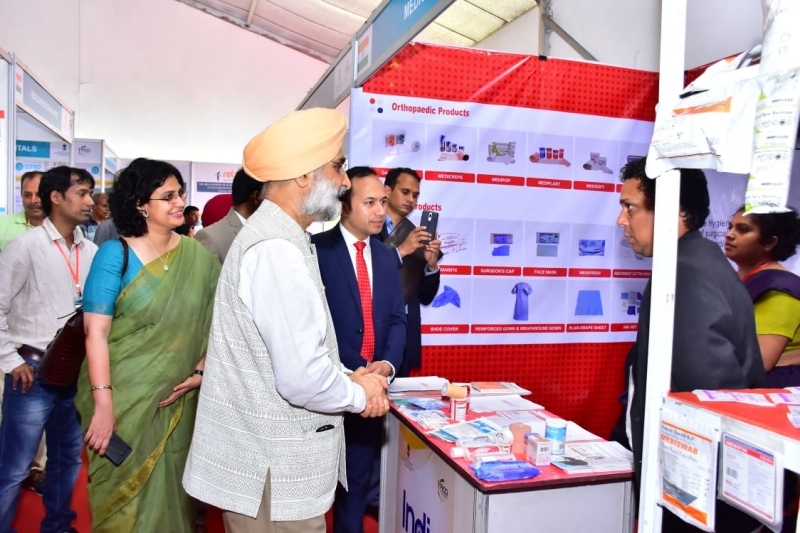 The Medicare Exhibition is underway at BMICH from 1-3 March 2019.